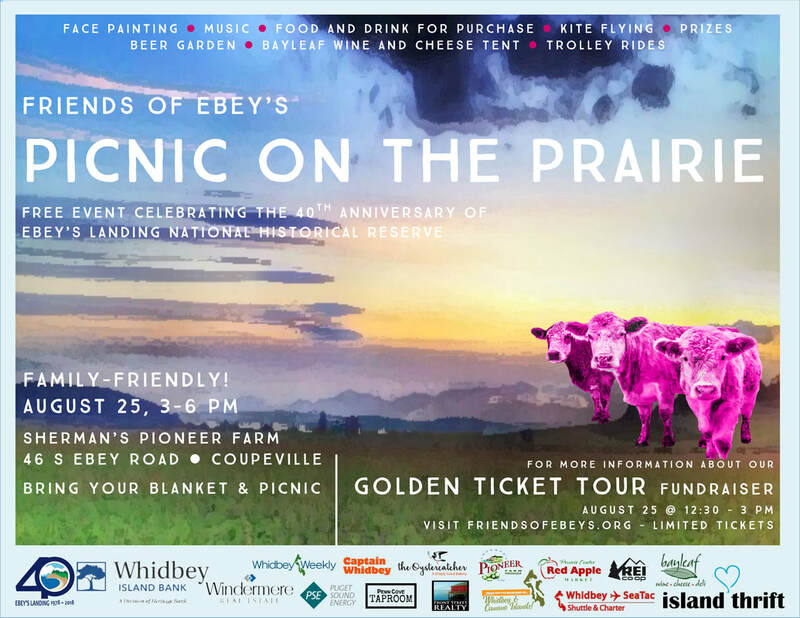 We can't wait to see the entire extended Ebey's Reserve community at the Picnic on the Prairie on August 25th. Let's celebrate 40 years of community partnership, together! Bring your own picnic and a blanket and savor the Reserve's landscape and all we have done to preserve it. Interested in the Golden Ticket Tour, the exclusive fundraising tour prior to the picnic? Click here.